Are you looking for an adorable alternative to the standard baby onesie? Baby clothes have changed a lot over the decades, but the popularity onesies for newborns and infants has remained. Why? Because, above all, infants need and love to be comfortable. Parents also need something easy to open and close — especially during the millions of diaper changes we do in the first two years. Baby rompers and bodysuits are great because they’re as comfortable and easy to open as traditional onesies, but don’t cover the legs. Here we’ll take a look at why rompers are great, and then review the best bodysuits and rompers on the market. Rompers: What’s the Big Deal? 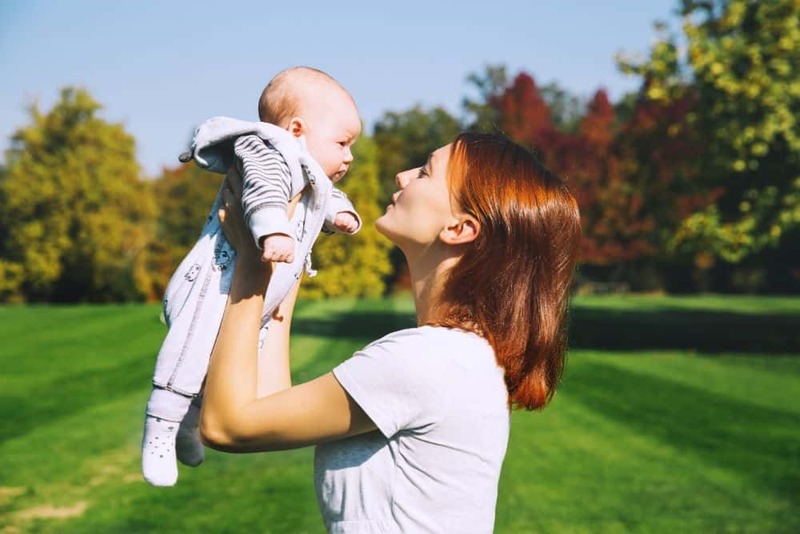 Whether you’re preparing for a newborn, or already have a toddler running around, there’s something here that can work for you. These are 100 percent organic cotton, and not going to break the bank. They’re available in four cute designs and offer both long and short pant options. They snap at the crotch, which some moms will like better than a front snap system. It also makes diaper changes easy. The snaps are nickel free, which is great for kids with allergies. 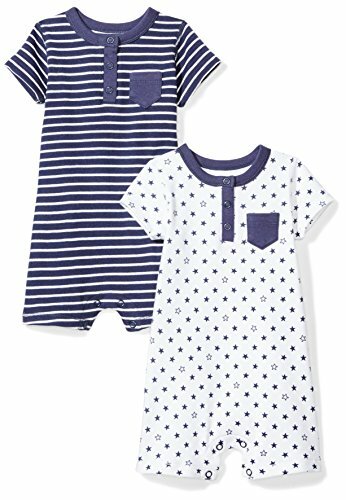 These rompers are GOTS-certified and OEKO-TEX 100 certified, ensuring your child will be exposed to fewer chemicals and wear clothes produced more sustainably. They come in packs of two and there are five different color options to choose from. They snap at the crotch for easy diaper changes, plus, they have a few snaps at the collar to make dressing your baby easier. These winter rompers are both beautiful and comfortable. They come in three different colors, each with intricate sweater patterns. But even with these delicate designs, they’re still machine washable. They fasten up the front with real buttons — not snaps — giving them a high-quality look that is great for a night out during the winter holidays with your baby in tow. Matching blankets are also available. One of the best things about rompers is the variation. For fall or spring days, it’s nice to have a romper with longer pants for warmth and comfort. These are made from machine washable, super soft, 100 percent cotton. To put the bodysuit on, pull it over your child’s head, pull down and snap at the crotch and legs. Babies that don’t like feeling snaps up their stomach will love them. They also come in two different color variations. 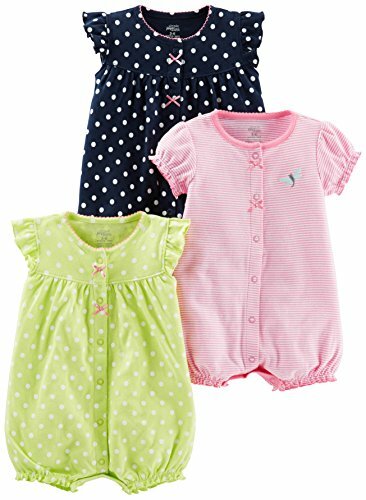 These ultra cute rompers are great for newborns. They’re 100 percent cotton and come in packs of three — great for those days when you have to change their outfit several times. They come in two color variations, and they cinch around the legs. This will allow you to get a size or two bigger and not worry about the fit. These rompers snap up the front, with nickel-free snap buttons. These are perfect for summer. Made of cotton and spandex, your child will be comfortable and cool in the warm weather. They come in two color patterns, and a matching headband is also included. They’re available in sizes ranging from newborn to three years old. They snap at the bottom for quick diaper changes and are just as easy for bathroom trips when potty-training. For the zipper lovers out there, this one’s for you. Rompers don’t have to be a daytime-only undertaking. If your baby likes the comfort of a romper, you may want to consider using them at night, too. These rompers come in packs of two, and they’re available in many color options. They have long sleeves with long pants for babies who get cold easily. Made of 97 percent bamboo rayon, these are super soft and kind to the environment. They come in several pastel color options, all of which are short-sleeved with shorts. They’re hypoallergenic and nickel-free, making them a great option for kids with sensitive skin. They’re also machine washable. At some point, you might have to bring your baby boy to a formal event. Whether he’s a ring bearer or just a member of the audience, this romper offers style as well as comfort. The soft material is 95 percent cotton, 5 percent polyester. The two-piece set includes a long-sleeved bodysuit, with snap closures at the legs and a matching jacket. A removable bow-tie completes the outfit. 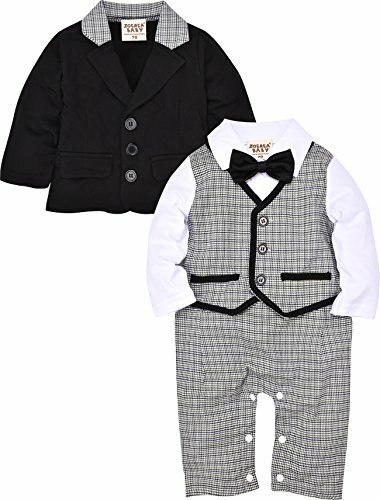 Two styles and three sizes are available, up to 18 months. 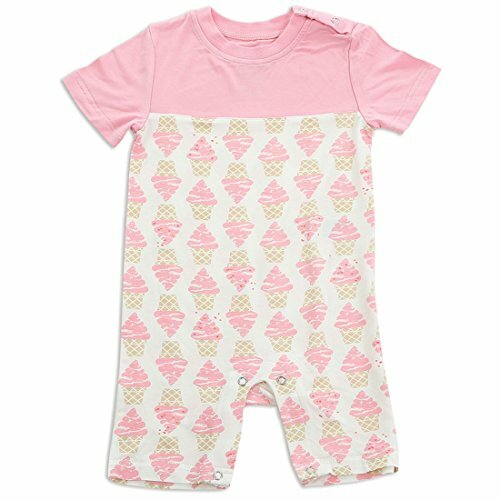 These cotton blend rompers became all the rage on the internet because of their unique and adorable style. They’re great for the hot, humid months when none of us, including our children, want any fabric sticking to our bodies. They come in several different colors and sizes, up to age 6. For toddlers that are potty training, however, it might be difficult for them to take on and off without parental help. 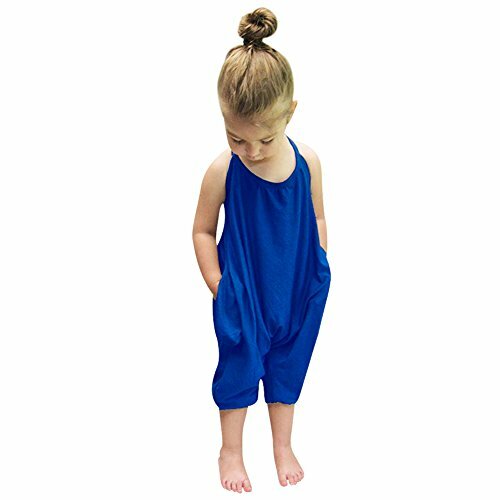 A baby romper is a one-piece clothing item for your child that can have sleeves or be sleeveless, and have long pants or shorts. Some come with buttons or snap closures, others may zip up. The defining factor is that it’s one piece. My little one loved rompers, and I did too. If you still aren’t convinced of the wonders of rompers and bodysuits, consider a few of these scenarios. Diaper blowouts: No matter the diaper, it will be defeated by your baby’s pooping skills at some point (source). With a traditional onesie, the liquid has nothing stopping it from reaching your carpet or your car seat. A romper can add a bit more protection in that area. Layering troubles: If temperatures drop and your child is in a traditional onesie, you’ll need to put a pair of pants on your child. This makes diaper changes more difficult. 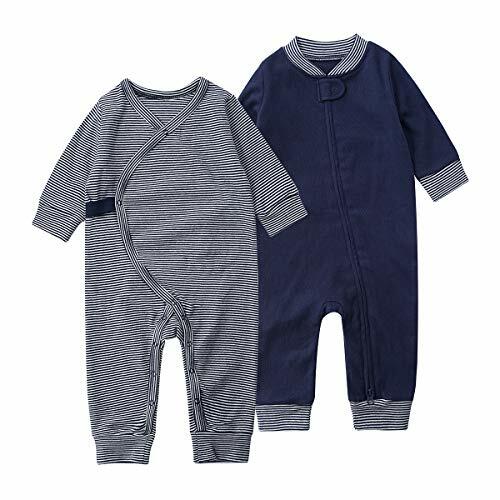 Rompers come with a variety of pant/sleeve options, making both layering and diaper changes a breeze (source). Size flexibility: Rompers don’t have to fit as perfectly as traditional onesies. With a onesie, if the size is too big, the diaper can become exposed. But with a romper, you can buy one, or even two sizes too big and get more use out of it. Like other baby items, there are a few things to consider when buying a romper. Before purchasing it’s a good idea to be realistic about what your baby will actually wear, and what they won’t. 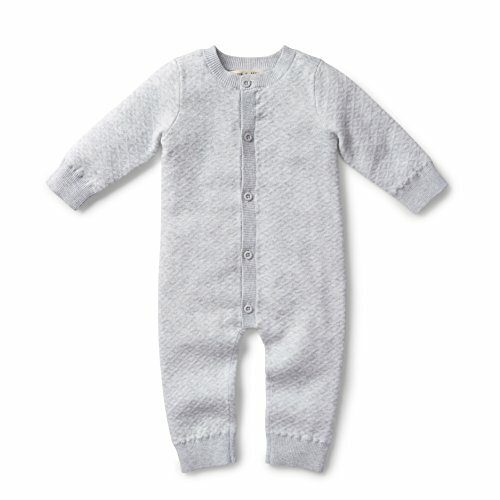 Materials: Many rompers and bodysuits are made of 100 percent cotton, which most babies like. However, if your baby has sensitive skin, double check what material it’s made of before buying. Fasteners: Some parents don’t like zippers, but I loved them. However, some babies also don’t like them and parents may feel anxious that they’ll catch their baby’s skin. Snap closures are a good alternative, but can leave gaps. Cleaning instructions: It’s possible that, with more delicate rompers, you may have to hand wash. If that’s not something you want to do (like me), make sure to double check the cleaning instructions before buying. Check out our article on how to treat baby rashes if your child suffers from reactions to fabrics or detergents. 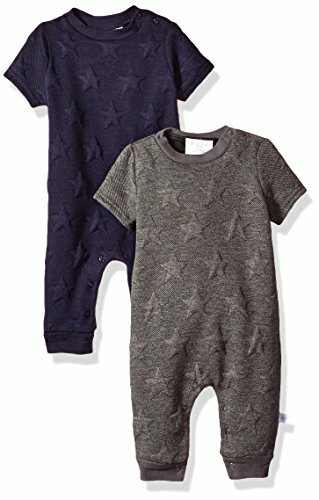 Rompers and bodysuits are a great way to add variation to your baby’s wardrobe, while still keeping the convenience of a onesie. With the different sleeve and pant options, you can make sure your child is always comfortable and ready for any weather ahead. 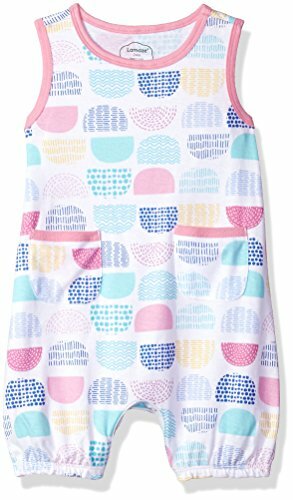 My favorite is the Lamaze sleeveless romper. It’s great on the budget and organic, so you know your kid has a good quality product. If you live in a place where it’s warm much of the time, the sleeveless feature is perfect for your baby. 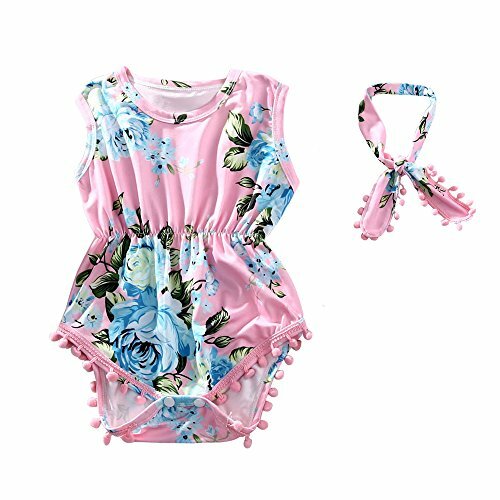 Does your child wear rompers? What are your favorite labels and why? Share your experience in the comment section below.